Conference „Patrimonium, Culture and Hospitality. Benedictine Monasteries as a Place of Meeting”. From 19 to 20 September 2012 in Banská Bystrica in Slovakia there was a conference organized on the role of Benedictine monasteries in society and their impact on both the local community as well as the region and the state. The afternoon session was devoted to the material heritage. Marcin Szyma, PhD. from the Jagiellonian University discussed Benedictine cloisters in medieval Poland. A series of papers concerned the ancient monasteries in Slovakia. Their primary function was interrupted. They are retained in varying degrees, so sometimes archaeological research is the only way to learn more about their history. Michaela Kalinová, PhD. presented Benedictine monasteries in the light of their heritage values, Naďa Kirinovičová, PhD. reviewed the historical reconstruction of monasteries, and Michal Slivka, PhD. presented the state of archaeological research in the field. Marián Samuel, PhD. 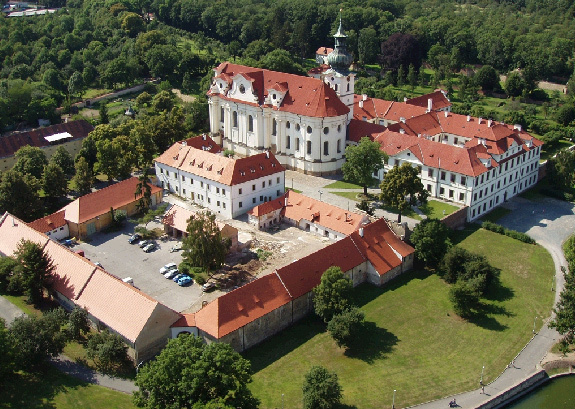 presented the latest results of archaeological research in a former monastery in Nitra. On the second day the scientists were replaced by practitioners – monks and monastery workers. The main question was how in the modern world the monasteries are the meeting place. Again, the key word was the hospitality, along with the guest houses run by the Benedictine for centuries. Jozef Brodnansky OSB discussed the experience of community in Sampor (the only monastery in contemporary Slovakia, founded in 1998), and Mateusz Zduński OSB described the monastery in Biskupów (founded in 1987). Both speakers presented the experiences of young foundation. The situation looks quite different in monasteries of medieval origins, which are also tourist facilities. 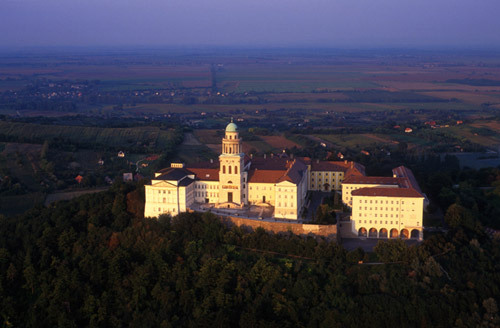 A very good example of combining different functions within the monastery is the Pannohalma Abbey in Hungary, a UNESCO World Heritage Site. Akos Pottyondy raised a very important issue concerning the use of facilities and their protection on the example of sustainable development of the 1000 years old Benedictine Monastery of Pannonhalma. Marta Szwiertnia from the Benedictine Institute of Culture analysed the development of tourism in the Benedictine Abbey in Tyniec. 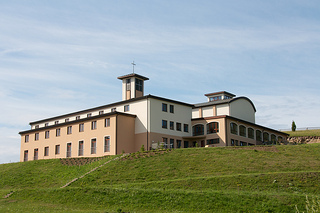 The situation of the abbey without the monks (Benedictine heritage) was introduced through the presentation of John Skolnik on educational and cultural projects in Braumov centre in The Czech Republic and Pavol Plško (N. F. Beňadik) on the protection of historic Benedictine monastery on the Rock at Trencin. In connection with the development of tourism in some monasteries, there is a number of events organized of similar nature to the museum workshops for children and young people. Such activities in Tyniec were discussed by Marta Sztwiertnia. Since the infrastructure is a very important factor for monasteries to open for visitors, the last part was dedicated to this issue. The subject was presented in two different aspects. 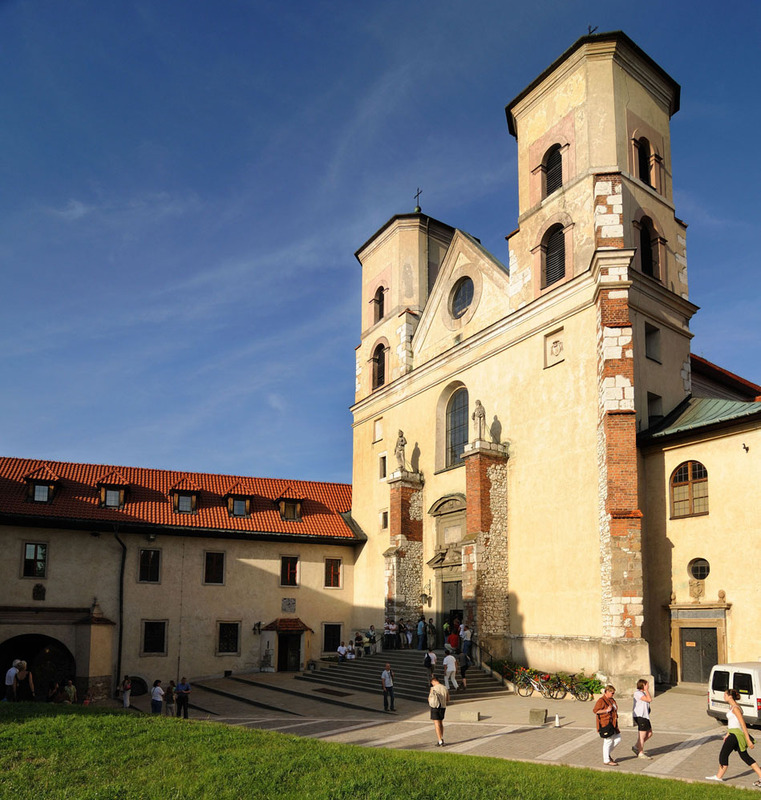 Brother Józef Kanik OSB discussed the creation of space for guests in the historic Benedictine Abbey in Tyniec, whereas brother Michal Maria Kukuca OSB from Sampor introduced activities of a new foundation of Slovakia. The cooperation within the project of monasteries from Poland, Slovakia, The Czech Republic and Hungary allowed not only to notice how much in common both historically and contemporary have communities in these countries, but also to draw attention to some differences. The history of the monastery, its location, size of community, its nature and how to maintain it, it all translates into the degree and nature of the opening of the local community and visitors. The conference was accompanied by a short publication in English written by Brother Michał Gronowski OSB from the Abbey in Tyniec. It introduces subjects elaborated on in the papers. It is also planned to prepare a wider publication on the basis of texts prepared by the conference participants.